Ease of interaction at your fingertips. Get Back to the Business of Healing. Medical professionals interact with their patients hundreds of times a day, whether answering questions, collecting information, or sending information. These interactions can be time consuming and costly for your practice. The Henry Schein Secure Chart Patient Portal provides patients and office staff a website containing a number of easy-to-use features that will save time for both patients and office staff, streamlining your communication process. Ready to increase efficiency and patient satisfaction? A customizable practice landing page to welcome your patients and give them an “at a glance” look at your practice information. Bi-lingual (Spanish – English) e-mail confirmations to serve all of your customers. 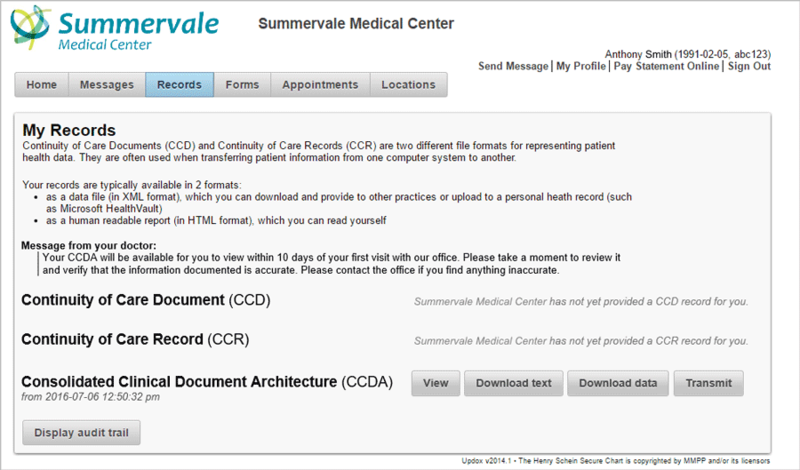 Collect patient data online prior to time of service to streamline practice check-in. Answer patient questions quickly and easily. How does Henry Schein Secure Chart Patient Portal get you back to the business of healing?